New Orleans Keisha Monk made the front page of the New York Times. I doubt if this was on her top ten list of life’s hopes and dreams. 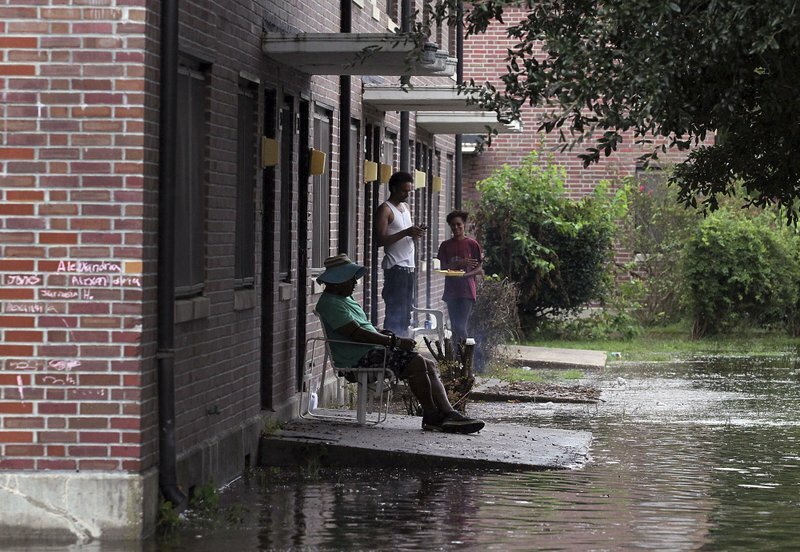 She lives, or at least lived until recently, in the Trent Court public housing project in New Bern, North Carolina, which turned out to be in the path of wind, rain and flooding when the river rose in the wake of Hurricane Florence. Her unit and others, not far from the river’s bank, were flooded, ruining virtually everything, and likely making her unit uninhabitable. The rivers in North Carolina are still rising. I got a call from a Local 100 person in Houston who was being sent alerts by FEMA to get ready to be deployed as a contractor to do home inspections as soon as the water receded and anyone could drive in and assess the damage. Keisha Monk will not be on his list. She’s not a homeowner. She’s simply a lower income, public housing resident, who was happy to have finally found a home in Trent Court. She might get a check from FEMA. Eventually. After a mountain of paperwork. She won’t get anything but temporary housing though. If she is lucky. She [Keisha Monk] also realized that she was now a player in the kind of redevelopment drama that tends to swamp storm-battered places like this – a story of race, class, gentrification and safety fears, and questions without easy answers about who gets to live on often alluring, sometimes treacherous, waterside real estate. She is also being reminded after Hurricane Katrina, that the poor are always vulnerable – to the vagaries of the real estate market and to the perceived value of their residences in good times and the ravages of Mother Nature when disaster hits. The future of Trent Court, like so many center city public housing projects in cities both large and small, was already precarious. There was a plan to relocate people and build something new, maybe there, maybe nearby with market rate housing and eighty units still available for the poor. Many, like Monk, would likely not be on the list for those eighty units, and they are years away as life continues to grind down hard on low-and-moderate income families. The problem is global, not local, as we heard in Asuncion about the relocation of thousands of families there from areas where they have lived for generations because of flood risk. Organizations and individuals talk about a “right to the city,” but as we know from Katrina, this is another right that requires a constant fight, and is often lost. This entry was posted in Citizen Wealth, Financial Justice and tagged affordable houisng, flooding, Hurricane Florence, low income housing, New Bern, North Carolina, Trent Court Apartments by Wade. Bookmark the permalink.